During the terrible mass extinction event at the Permian-Triassic boundary about 250 million years ago nearly all life on Earth was snuffed out. The event, which geologists have dubbed “The Great Dying,” occurred during a period of rapid warming on the tail end of a long period of glaciation (see A Deadly Climb From Glaciation to Hothouse: Why the Permian-Triassic Extinction is Pertinent to Human Warming). According to reports by Dr. Peter Ward, a prominent geologist specializing in causes of previous mass extinctions, the Permian extinction was composed of three smaller extinction events occurring over the course of about 50,000 to 80,000 years which together wiped out 96% of all marine species and 70% of all land species. Ward’s book “Under a Green Sky,” in my view, together with Hansen’s seminal “Storms of My Grandchildren” provide an excellent if terrible rough allegory of the climate beast we seem to be in the process of awakening. As noted above, Ward’s work focused on causes and what he found at numerous dig sites around the world was evidence of a ‘Great Dying’ that began at the ocean floor, proceeded upward from the depths, and eventually came to transcend the ocean boundary and inflict a similar, if less pronounced, lethality upon terrestrial organisms. The mechanism Ward proposed for the worst extinction in Earth’s geological memory involved how oceans and, in particular, living creatures in the oceans, respond to rapid warming. Ward found that during periods of high heat called hothouse states, oceans first became anoxic and stratified and then, during the worst events, transitioned to a deadly primordial state called a Canfield Ocean. A stratified ocean is one in which the layers become inverted and do not mix. Warm water is avected toward the ocean bottom and a cooler layer on top keeps that warm layer in place. The warmer water beneath is oxygen poor and this results in more anaerobic microbes living in the deep ocean. Overall, global ocean warming also contributes to an anoxic state. Many of these microbes produce toxins that are deadly to oxygen dependent organisms. As they multiplied, the combined low oxygen/high toxicity environment created a layer of death that slowly rose up through the world ocean system. The primary lethal agent Ward proposed for this action was hydrogen sulfide gas. This deadly gas, which has an effect similar to that of cyanide gas, is produced in prodigious quantities by an anaerobic bacteria whose remnants lurk in the world’s deep oceans. In lower quantities they turn the water pink or purple, in greater quantities — black. Oxygen is toxic to these primordial bacteria. And so, in the mixed oceans of the Holocene all the way back to the PETM boundary layer, these little monsters were kept in check by a relatively high oxygen content. But start to shut down ocean mixing, start to make the oceans more stratified and less oxygen rich and you begin to let these dragons of our past out of their ancient cages. And once they get on the move, these creatures of Earth’s deep history can do extreme and severe harm. Ward hypothesized that these ancient organisms and the gas they produced eventually came to fill the oceans and then spill out into the atmosphere. An anoxic, stratified ocean full of anaerobic organisms and out-gassing hydrogen sulfide to the atmosphere is a primordial sea state known as a Canfield Ocean. And Ward found that such hot, toxic waters were the lethal agent that most likely snuffed out nearly all life 250 million years ago. Peter Ward’s tone was nothing if not fearful in his book ‘Under a Green Sky.’ He wrote with the wisdom of a man who has come face to face with terrible limits time and time again. He wrote with the wisdom of a man shocked by some of the hardest truths of our world. He also made a plea — could scientists and experts of different fields please work together to give humanity a better measure of the risks he saw to be plainly visible. Chief among these risks, according to Ward, included a rapidly warming planet. Ward found that both extreme high heat conditions as well as a relatively rapid pace of warming, in geological terms, increased the speed of transition to stratified ocean and Canfield Ocean states. Ward acknowledged that high rates of water runoff from continents likely contributed to anoxia. Recent studies have also indicated that rapid glacial melt combined with rapid global heating may contribute to a an increasingly stratified and anoxic ocean system. Now, a new study of deep ocean corals entitled Increasing subtropical North Pacific Ocean nitrogen fixation since the Little Ice Age and conducted by researchers at the University of Santa Cruz and published in Nature has discovered proxy evidence that ocean stratification over the past 150 years advanced at the most rapid pace in at least the last 12,000 years. The study analyzed the sediment composition of coral growth layers to determine changes in ocean states since the 1850s. As the corals sucked up the dead bodies of micro-organisms over the past 1,000 years, the researchers were able to analyze what was happening to the cyanobacteria at the base of the food web. What they found was that the bacteria increased their rate of nitrogen fixation by about 17 to 27 percent over the past 150 year period. And that this pace of change was ten times more rapid than that observed at the end of the Pliestocene and beginning of the Holocene 12,000 years ago. Increasing nitrogen fixation is an indicator of ocean stratification because cyanobacteria species under stress evolve to fix higher amounts of nitrogen from the surface transfer boundary with the air if particulate nitrogen levels in their environment drop. In a healthy, mixed ocean environment, nitrogen from various sources (terrestrial, run-off, etc), is readily traded between ocean layers due to the mixing action of ocean currents. In cooler oceans, more nitrogen is also held in suspension. But as oceans become warmer and more stratified, a loss of mixing and solubility results in lower nitrogen levels. 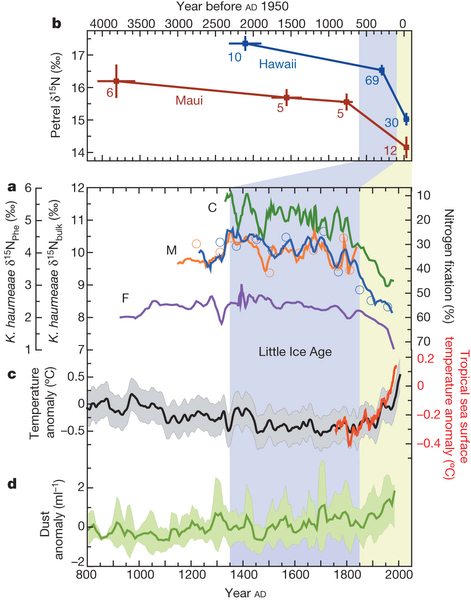 The researchers believe that this increase in nitrogen fixation is a clear indication that the region of the Pacific they observed is rapidly becoming more stratified and that this rate of increase is probably an order of magnitude faster than what occurred during the last major transition at the end of the last ice age. Put into various contexts, the current state of climate and environmental health does channel our worst fears that the Permian Extinction event may well be in for a human-caused repeat. The current estimated background extinction rate of 100-250 species per day is possibly the most rapid in all of geological history. The current CO2 level, near 400 parts per million, is higher than at any time during which human beings walked the Earth. The pace of greenhouse gas emissions is at least six times faster than at any time in the geological record. And the current, very large, forcing provided by humans does not yet include a probable powerful and unpredictable response from the Earth’s natural systems. As Ecologist Guy McPherson notes — Nature Bats Last. And we should not be comforted by this notion. Because Nature carries the biggest stick of all. A consequence hanging over our heads that grows larger and more dangerous with each passing year during which our insults to her continue. Among the pessimists regarding the end consequences of human caused climate change and related pollution, ecologists are the worst of the bunch. This is likely due to the fact that ecologists are very intimately involved in the study of how communities of organisms succeed or fail in natural settings. Among all groups of scientists, they are perhaps the ones most intimately familiar with the way in which all living things are connected to both one another and to the natural world. Ecologists know all too well that small shifts can mean huge changes to biodiversity, the rate of death among living beings, and the distribution of species in a given environment. But the changes humans inflict are not small in the least. They roughly ripple through the natural world in ways that ecologists know all too well have never before been seen. Dr. McPherson is such an ecologist and one with such great conscience and concern that he, years ago, abandoned most of the luxuries of modern civilization to live in a fashion that produced the least harm possible. Not that this action has resulted in more optimism on his part. In fact, Guy is one of a growing group of people who believe that no action is likely to save humankind. That our insults to the natural world have already grown too great. In this observation, Guy is probably right. But I sincerely hope that his and my own worst fears do not emerge. It is possible that, on top of the vast quantities of carbon dioxide from fossil fuels that continue to enter the atmosphere in record amounts yearly, an increased release of methane could signal the beginning of the sort of process that led to the Great Dying. Some scientists fear that the situation is already so serious and so many self-reinforcing feedback loops are already in play that we are in the process of causing our own extinction. Worse yet, some are convinced that it could happen far more quickly than generally believed possible — even in the course of just the next few decades. And so we come full circle. Rapid human warming leads to troubling ocean changes that hint at those feared to have resulted in mass extinctions during the Permian-Triassic boundary event. And the very rapid human warming puts at risk the catastrophically rapid release of Arctic methane which would certainly consign Earth to a rapid jump from a glacial to a hothouse state and potentially produce the kind of Canfield Oceans Dr. Ward fears. It is a deadly transition for which we have growing evidence with almost each passing day, one that McPherson and others fear could truly make an end to us and to so many other living creatures on this world. The Great Dying Redux: Shocking Parallels Between Ancient Mass Extinction and Climate Change. NASA GISS Shows November 2013 Hottest On Record. Mangled Jet Stream Brings 4-8 C Above Average Temps to Russia, Arctic. The temperature records just keep on falling. Despite a somewhat cooler than average fall and early winter for most of the US, the world continued an inexorable warming trend by shattering a previous record high global average temperature for the month of November. According to NASA GISS, November 2013 was the hottest since record keeping began in 1880. At .77 degrees Celsius above the 1951-1980 average, November 2013 was .02 degrees Celsius hotter than November of 2010, the previous hottest November. Almost all regions of the globe showed hotter than average temperatures. 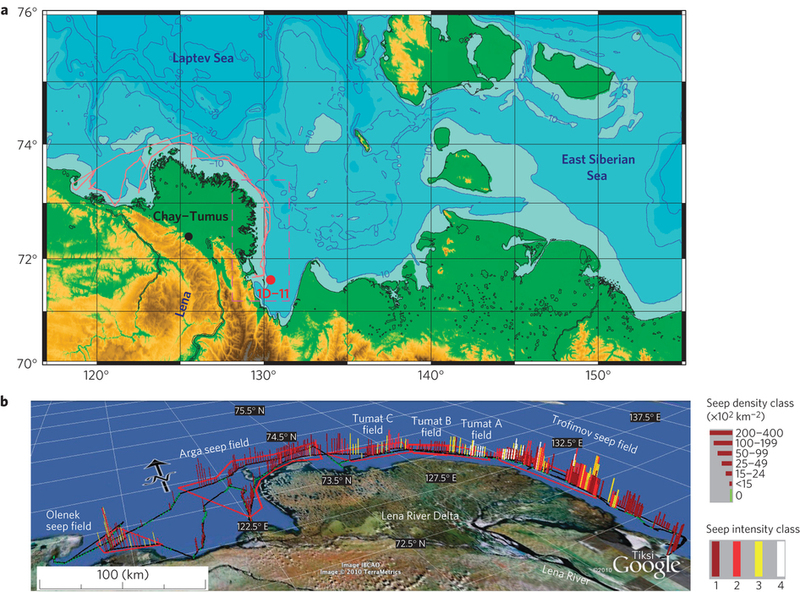 The two exceptions were West Antarctica and adjacent ocean regions and central and eastern North America. Temperatures in these regions ranged from .5 to 4.1 degrees Celsius below normal. The hottest regions of the world included Antarctica, the Pacific Ocean south of Alaska and Alaska, and a large swath including Russia and the adjacent Arctic regions. The Antarctic hot patch ranged from 1 to 4 degrees Celsius above normal and covered most of the continent. Large regions of Alaska and adjacent Pacific and Arctic Ocean environs also ranged from .5 to 4 degrees Celsius above average. But the hottest zone included a massive section of Russia and the adjacent Arctic Ocean. There, a persistent high amplitude ridge in the Jet Stream drove much warmer than average temperatures far into the north, forcing temperatures into a range of 4-8 degrees Celsius above average over a massive region and driving a wedge of heat all the way to the North Pole. According to Dr. Jennifer Francis and Dr. Jeff Masters, such high amplitude Jet Stream waves are both primary drivers of extreme weather and a direct result of massive losses of sea ice occurring since 2007. More rapid warming at the poles, or polar amplification, has been implicated in an observed slowing of the Jet Stream that has become more and more pronounced in recent years, resulting in both record heat waves and droughts as well extreme rain events. Observed temperatures showed a classic and pronounced amplification at the poles with northern hemisphere showing the most pronounced amplification. It is worth noting that the southern hemisphere is not expected to amplify as rapidly as the southern ocean acts as an enormous heat sink. Observed CO2 and methane readings during the period were also very high over the Arctic and Northern Russia with numerous spikes in the range of 1900 to 2200 ppb methane and CO2 levels rising above 400 ppm for much of the Arctic region by late November. Though likely contributing to Arctic amplification, these values alone were not enough to account for the very high temperatures observed in Russia during the period which, as noted above, coincided with a ridge blocking pattern in the northern hemisphere Jet Stream. Anomalous heat in Alaska also coincided with a powerful ridge that has persisted over the region for much of this year. These record hot conditions are exceptional, especially when one considers that ENSO remains in a neutral state. Such conditions do not bode well for the next El Nino year, when it does emerge. Arctic Methane emissions have been a touchy subject ever since sporadic reports began trickling in during the mid-2000s that volumes of the gas coming from local sources were on the rise. Two of the scientists producing these reports, Igor Semiletov and Natalia Shakova have been observing a key region of the Arctic called the East Siberian Arctic Shelf (ESAS) since the mid 1990s. At that time, Semiletov and Shakova found no major emissions sources coming from this vast sea whose bottom is composed primarily of carbon-rich submerged tundra. In the period of 2010 to 2013, other regions of the Arctic were also found to be emitting high volumes of both methane and CO2. These regions included but were not limited to Yedoma in Russia, other portions of the Siberian continental shelf, regions off of Svalbard, regions off of Greenland, and regions over Arctic Alaska and Canada (see NASA’s CARVE mission). Though the reports were sporadic and isolated, a picture began to emerge that the vast stores of Arctic carbon — totaling around 5,000 gigatons or a little less than ten times that already emitted via human fossil fuel burning — were beginning to contribute to the world’s atmospheric greenhouse gas stores. Concern, especially over methane which creates between 25-75 times more warming than an equal volume of CO2, was on the rise. ESAS again fell into focus because about 1,500 gigatons of carbon in the form of methane is thought to be sealed under a now perforated and rapidly melting layer of permafrost. And by winter of 2013, satellite measures were showing an increasing overburden of methane in the atmosphere above the Arctic. 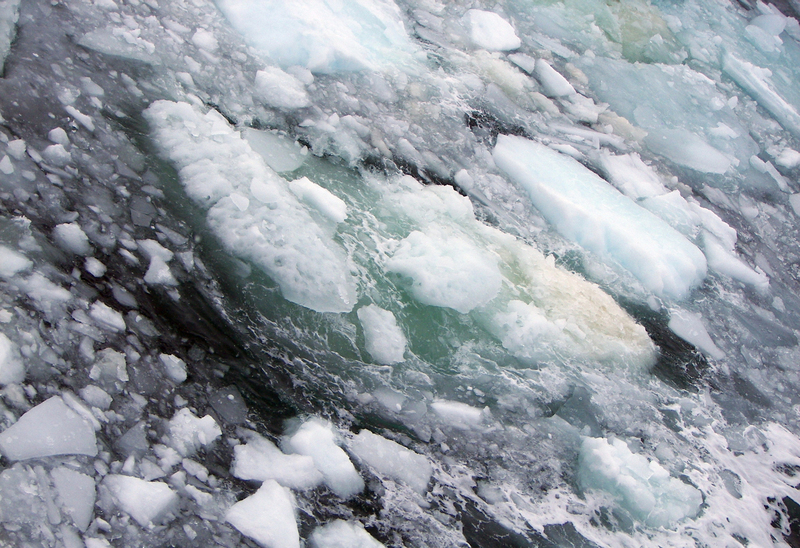 These increasing methane levels were a sign of higher Arctic emissions. And, though concerning, they hadn’t yet risen to the level to indicate the catastrophic release that some scientists feared was possible. By summer of 2013, Peter Wadhams, a polar researcher with more than 30 years experience studying Arctic sea ice from the vantage of British navy submarines, chimed in with an article published in the prestigious journal Nature entitled Climate science: Vast costs of Arctic change. In the article, Wadhams and his co-authors projected the economic costs of a catastrophic 50 gigaton methane emission from the East Siberian Arctic Shelf over the coming decades. Though the article itself didn’t provide an estimate of how likely such a dangerous emission would be, Wadhams, in his later press interviews indicated that he believed it was certainly possible due to new mechanisms set in motion by melting sea ice. 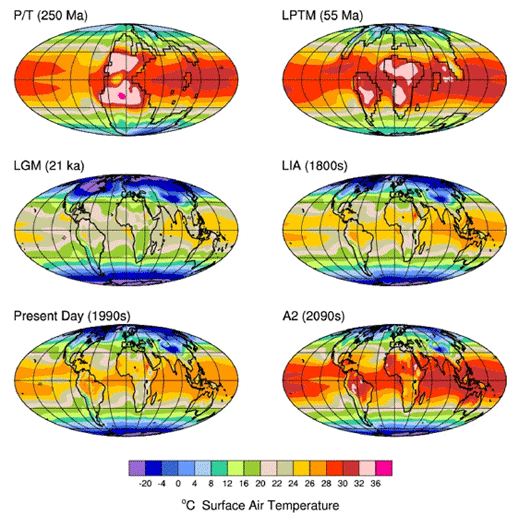 The Nature article received numerous criticisms from prominent climate modelers. Chief among these were David Archer and Gavin Schmidt. Archer and Schmidt both adhere to the notion that it will take centuries or perhaps thousands of years for a significant volume of methane to be emitted from the Arctic. They conjecture that emissions from Arctic sources will increase, but at a very slow rate, and to a level that is not markedly significant when compared to overall human CO2 emissions. This relatively slow and low Arctic contribution view is based on a model assessment of the physical sciences that has yet to quantify a strong enough physical mechanism to break methane out of its traps and produce the kind of emissions Wadhams and others fear. In the conjecture over the potential dangers of Arctic methane release, Schmidt and Archer provide support for a long tail of emissions rather than a more sudden and powerful release. “What is happening is that the summer sea ice now retreats so far, and for so long each summer, that there is a substantial ice-free season over the Siberian shelf, sufficient for solar irradiance to warm the surface water by a significant amount – up to 7C according to satellite data. That warming extends the 50 m or so to the seabed because we are dealing with only a polar surface water layer here (over the shelves the Arctic Ocean structure is one-layer rather than three layers) and the surface warming is mixed down by wave-induced mixing because the extensive open water permits large fetches. So long as some ice persisted on the shelf, the water mass was held to about 0C in summer because any further heat content in the water column was used for melting the ice underside. But once the ice disappears, as it has done, the temperature of the water can rise significantly, and the heat content reaching the seabed can melt the frozen sediments at a rate that was never before possible. 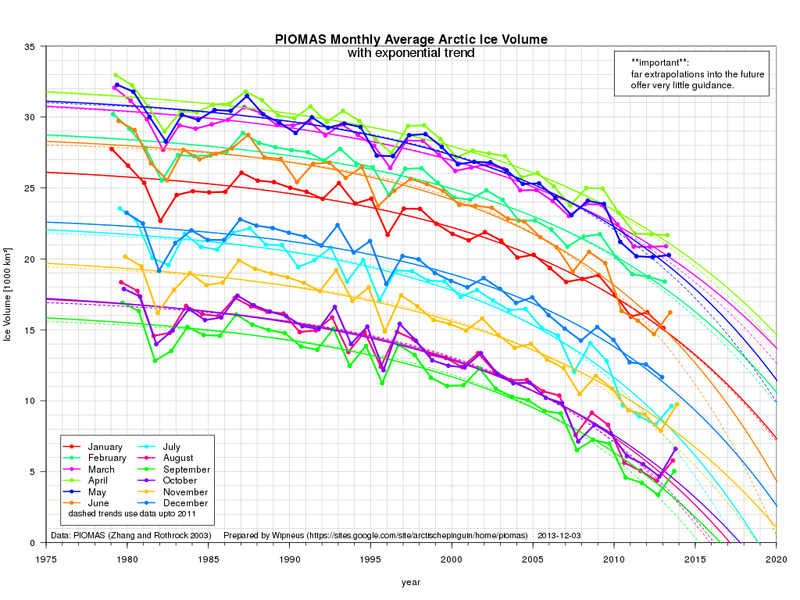 It is worth noting that Dr. Wadhams has been very pessimistic about the state of the Arctic of late, predicting that a near complete loss of summer sea ice is likely by 2015 or 2016 — among the most rapid of such predictions. 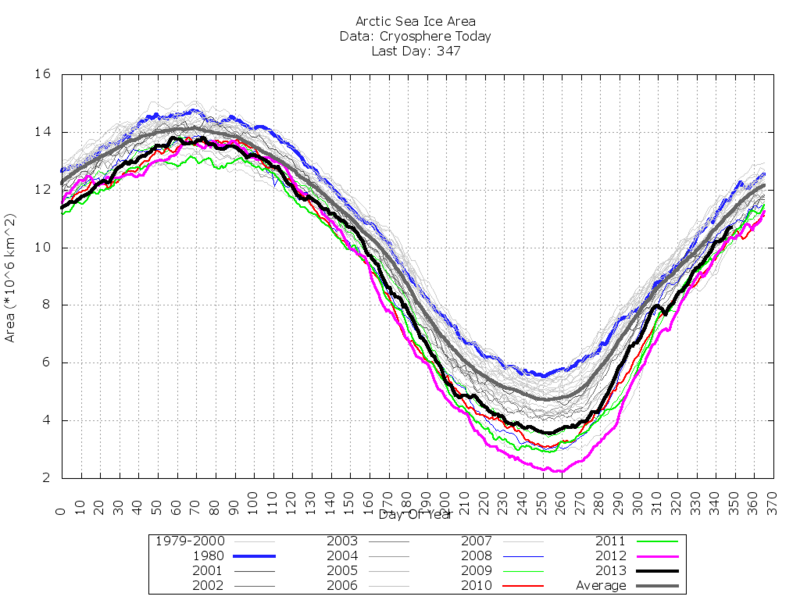 And the severe pessimism of one of the world’s premier sea ice researchers is not at all cause for comfort. This doesn’t mean that conditions are quite so bad as Wadhams suggests. But they could be. And this potential, along with the related potential for a more rapid ESAS release, is very unsettling, Archer’s and Schimdt’s reassurances aside. By October and November of 2013, the controversy over Wadhams Nature article had mostly faded. But with little in the way of new information, the details of the issue remained inconclusive as ever. 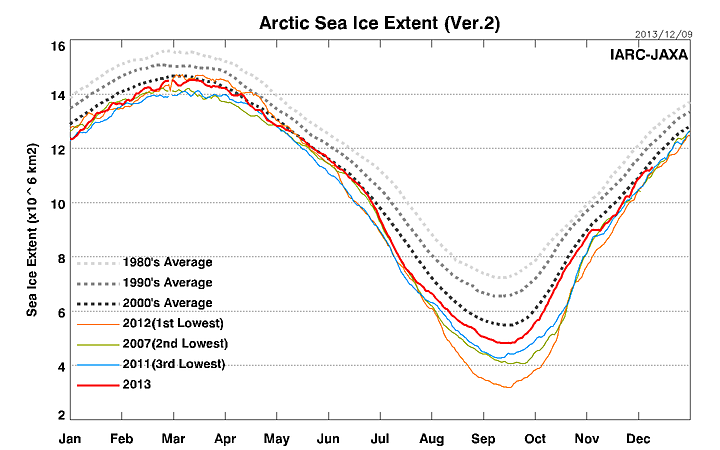 Loss of Arctic sea ice had, at least, taken a pause. Sea ice area and extent had retrenched, under the continued assault of human warming, to levels last seen in 2009, but still remained near record low levels in all measures. This pause in the rate of loss was cause for some relief, if little comfort. On the flip side, a new report had been issued showing that large regions of Arctic Canada were experiencing temperatures that were warmer than at any time in at least 44,000 years and probably 120,000 years. This report added to a long list of growing evidence that the Arctic was rapidly moving out of any reasonable context comparable to the Holocene and was probably well on its way toward something more closely resembling the Pliocene of about 3 million years ago (the last time CO2 levels hit 400 ppm) or worse. And out of context, anomalous Arctic heat, meant out of context, anomalous stress on the ESAS’s frozen sea bed. Bad news was also coming from Arctic methane readings when, during September, October and November large spikes pushed local readings in some areas as high as 2500 parts per billion, more than a 600 parts per billion above the global average with large regions around the Arctic frequently showing readings above 1950 parts per billion. By late November, another report had been issued by Shakhova and Semiletov. Published to the journal of Nature Geoscience, the report found that methane emissions from the East Siberian Arctic Shelf, one of the regions of greatest concern, was conservatively estimated to be about 17 megatons per year. This amount is twice that previously estimated by scientists, through the use of physical models and less refined observations, to be coming from this region. It also represents a total emission about twice that of the rest of the entire global ocean system. The recent Shakhova paper also found the permafrost cap over the methane stored beneath the ESAS to be highly perforated and very close to thawing. Measurements taken from the permafrost showed the top layer had mostly already thawed while the still frozen layers lower down ranged in temperature between 30 and 32 degrees (Fahrenheit) — at the brink of melt. Furthermore, the composed data for the 1999 to 2013 period showed the seabed warming by .9 degrees Fahrenheit even as air temperatures warmed by 1.8 degrees (F) during the summer. 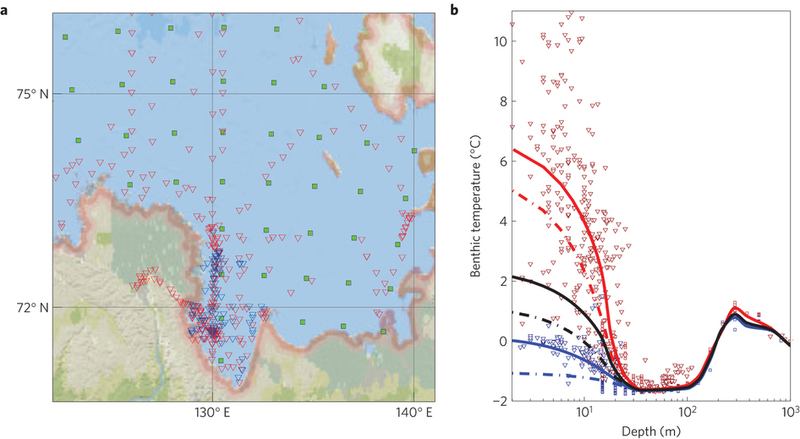 Increasing transport of warmer waters to ESAS bottom zones was facilitated by larger river outflows in the region, likely also a result of human-caused changes to Arctic weather patterns. The methane beneath the ESAS was also found to be very responsive to environmental changes and conditions, no matter how transient or temporary. Storms, warming waters, and warmer ocean currents were observed to enhance release of methane from the ESAS. Yet one more sign of an increasingly fragile methane cap. Anyone following the rapid pace of sea ice melt will recall how, up until very recently, sea ice melt models got the melt time frame dreadfully wrong. As recently as 2007, modellers were stating that near ice free conditions would not happen until the end of this century. 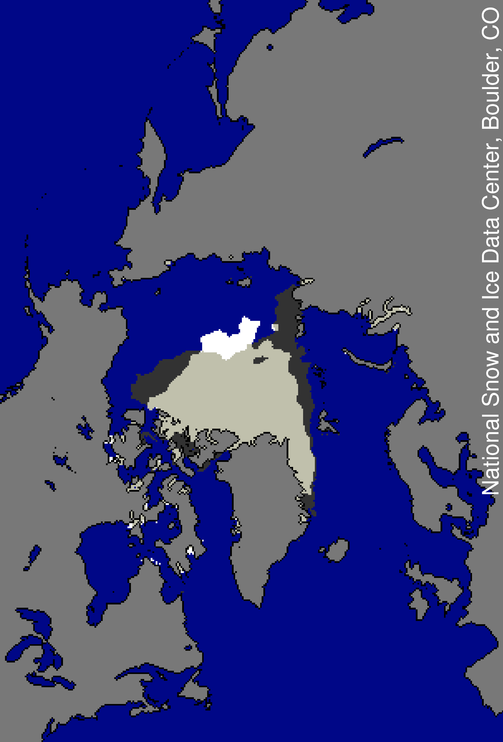 Now, after two devastating record melt years in 2007 and 2012, bringing Arctic sea ice within a paltry 2.1 million square kilometers of zero, even the most conservative scientists project the potential for near ice free conditions by around 2035 to 2040, with the more aggressive among these putting the Arctic at a near ice-free end summer state by 2016 to 2020. Meanwhile, global climate model projections of sea ice loss continue to lag well behind observed trends. 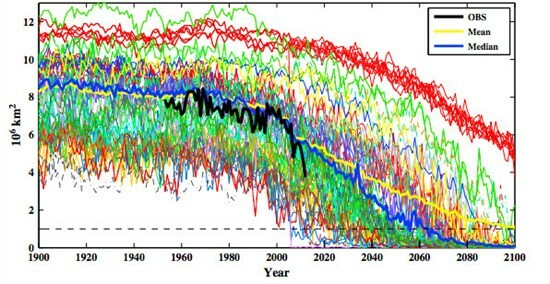 A mean of IPCC model runs still project a total or near total sea loss by 2100 in a mean of the models surveyed and those models that appear to be within the standard deviation of current observed ice loss trends predict, in their mean, an ice-free or near ice-free state by 2050. So what we have is a noted split between expert analysis of what is happening and what is likely happening to sea ice, and a continued set of highly conservative and apparently inaccurate (at least under current trends) projections by GCMs. This observed conservatism in GCMs also calls into question their accuracy in predicting the response of global methane traps, especially the critical ESAS methane store. For the ESAS cap to even partly fail, as it now hints at doing, at any time this century would be another massive under-estimation by the climate models. It would also put at risk, as Wadhams warns, the release of gigatons of methane from its ever more permeable ESAS traps together with a number of very severe climate consequences. Currently, however, it appears that such a very large release is not yet underway. A 17 megaton emission, though double previous estimates and outside the range projected by GCMs, represents about 2.8% of the global total methane emission from all sources (or 10% the total US emission). This puts ESAS on the map of very large single sources, but it does not yet provide enough methane to overwhelm the current methane balance. To do that, yearly rates would have to rise by an order of magnitude, reaching about 150 megatons a year or more. Ironically, about a 150 megaton per year emission, averaged over thousands of years, is what climate models currently project (although the models show larger emissions happening much later). So it is worth noting that even getting on this track would be a bad consequence while exceeding it by any serious margin this century would be a very, very bad consequence indeed. To put the size of the ESAS methane store into context it is worth considering that should the ESAS emit 1 gigaton of methane each year, it could continue that emission for more than a thousand years. Such a rate of emission would about effectively double the current forcing from human CO2 emissions and extend the time-frame of that forcing for up to 15 centuries. Thankfully, we haven’t yet approached such a catastrophe. Instead, the current emission combines with other sources to continue to slowly push world methane levels higher, adding incrementally more heat forcing to an already stressed global system and adding to a yearly growth rate of about 10-20 ppb each year. Shakhova’s research does, however, put a marker on the ESAS emissions map. Should we return in a few years to find emissions dramatically increased, we will have more evidence that ESAS is indeed rapidly destabilizing. Shakhova and Semiletov’s earlier observations provide some evidence for this already. However, with a quantifiable figure now available, it will be easier to gauge to what degree ESAS is increasing its already substantial, but not currently catastrophic, methane release. Back in January, on January 1rst in fact, the first cyclone of this year’s Eastern Pacific Typhoon season formed. It would be one of at least 52 tropical depressions, storms, and typhoons that would rake through this vulnerable region over the next 11 months — resulting in over 7,000 deaths and tying a record for the most storms set 49 years ago in 1964. 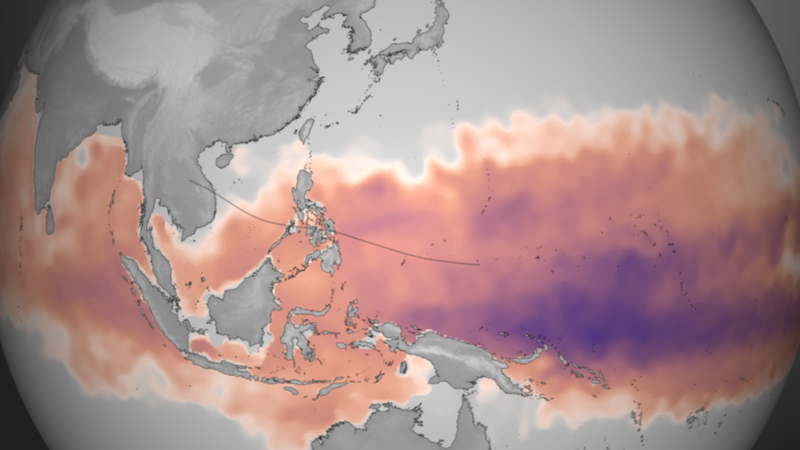 The typhoon season that would repeatedly rake the Phillippines with monster storms and disgorge the strongest cyclone — Haiyan — to ever make landfall came on, at least in part, due to anomalously hot Pacific Ocean waters. Throughout the year, a large swath of the Western Pacific remained between 2 and 5 degrees Celsius above the 1979-2000 average. This stretch of water reached 90 degrees Fahrenheit during the summer of 2013, contributing to the extremely hot air mass that set off temperature record after temperature record in southeastern China from late July through early August. According to reports from NOAA, not only was this mass of water very warm, its warmth extended far into the depths of the Pacific. NOAA’s report: Deep Warm Water Fuels Haiyan Intensification linked the anomalously deep and hot water to Haiyan’s rapid intensification as well as provided a basis for understanding why so many cyclones had formed during the, very prolific, typhoon season of 2013. The intensification of Super Typhoon Haiyan is being fueled by “ideal” environmental conditions – namely low wind shear and warm ocean temperatures. Maximum sustained winds are currently at 195 mph, well above the Category 5 classification used for Atlantic and East Pacific hurricanes. Plotted here is the average Tropical Cyclone Heat Potential product for October 28 – November 3, 2013, taken directly from NOAA View. This dataset, developed by NOAA/AOML, shows the total amount of heat energy available for the storm to absorb, not just on the surface, but integrated through the water column. Deeper, warmer pools of water are colored purple, though any region colored from pink to purple has sufficient energy to fuel storm intensification. The dotted line represents the best-track and forecast data as of 16:00 UTC on November 7, 2013. It will only take the formation of one more cyclone to break the all-time record number of storms formed back in 1964. With 6 cyclones having formed since Haiyan ripped through the Philippines in early November and with Pacific Ocean temperatures remaining anomalously hot, it appears possible that 2013 will break this long-standing record. For years, researchers have debated whether increasing ocean heat content due to human caused global warming will result in more numerous tropical cyclones. Heat is the primary driver for the formation and strengthening of these storms and with average global temperatures increasing at the rate of at least .2 degrees Celsius per decade, that driver continues to strengthen. At the very least, researchers agree that the strongest storms will likely be stronger. But tropical cyclone formation is complex and other factors, such as large areas of dust stirred up from expanding deserts, may also act to suppress storms in a warming world, at least in some basins. One factor that has not been explored in depth is what appears to be a steadily growing length of hurricane seasons. In almost all basins, storms appear to be forming earlier and earlier in the year. Climatological peaks for typhoon seasons are still occurring at the usual time. But the warming oceans appear to be setting the stage for year-round tropical cyclone formation. A tropical cyclone typically needs water temperatures of at least 75 degrees (Fahrenheit) to form. And with pools of water at this temperature and above expanding even during what is typically winter it would seem that the basic ingredients for year-round storm formation are steadily being provided. A few months ago, at about the time the most recent IPCC report was shifting closer and closer to a much needed alarm, at about the same time world ocean temperatures had, once again, broken a hottest (ever) monthly record, and at about the same time that consensus among scientists and meteorologists was rapidly shifting toward a new acceptance that climate change was making the world’s weather radically more dangerous, I picked up a little-known book called “The Martian Patriarch” by Robert Vella. This diamond in the rough of a sci-fi novel was exactly what I needed to both put into context the strange and disturbing events affecting the world’s weather and the angst and anxiety-causing inaction and political blindness of many business and political leaders within the US and around the world. Yet one more climate summit had passed without more than token action. The power of the world’s polluters — the fossil fuel companies — were as strong and entrenched as ever. A radical right-wing political ideology, backed by many of the world’s monied special interests, had taken root in many western nations, bent on austerity and deconstruction rather than effective action and progress. And the climate movement response, though strong, had yet to dislodge these enduring and powerful forces from their now globalized strongholds. 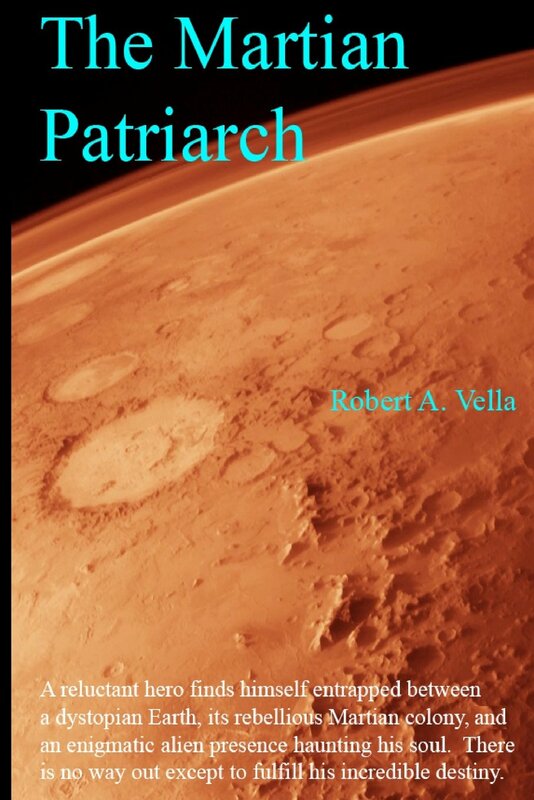 Fast forward for another 60-80 years of today’s terrible business as usual and we arrive at the future envisioned by Robert Vella’s “Martian Patriarch.” The world’s governments are a fractured coalition of totalitarian regimes. The United States is the victim of an extreme right-wing coup d’etat and now suffers in the iron grip of a predatory, fascist dictator. The world’s ice caps have undergone a rapid melt-down, resulting in the flooding of many coastal cities and weather events can only be described as strange and horrific, spawning periodic great disasters that serve as high points in an ongoing trend of climate degradation. Thrown into this dark mix, however, are a few points of light. Far away on Mars, a colony of enlightened ecologists, scientists, egalitarians and space travelers have managed the scrape together a bright civilization that is the backdrop to Earth’s dark decline. Space travel between planets, though rare and expensive, has now expanded to the point that massive ships carrying hundreds of souls can leap the distance between planets. And our protagonist, a refreshingly down-to-earth man by the name of Marc Bolton, sets out on a journey that will unlock both the wisdom in his own heart and that of an ancient race who, unbelieving, still extends a helping hand to human beings in the hope that they will progress past their current age of darkness. “The Martian Patriarch” is both visionary in its willingness to expand on the current troubles of our day and bring them to darker fruition as well as for its ability to provide heroes to give us hope that the future won’t be quite so dark as we fear, to give us hope that, somehow, we will find a way out of the terrible fix we’ve made for ourselves. So at its darkest, “The Martian Patriarch” is an unflinching expose of the most terrible demons of humankind while at its brightest, the book also manages to touch our highest ideals. It is a strange paradox of opposites that seems extraordinarily difficult to pull off, but Robert Vella manages with flying colors. Last of all, the book is almost impossible to put down. 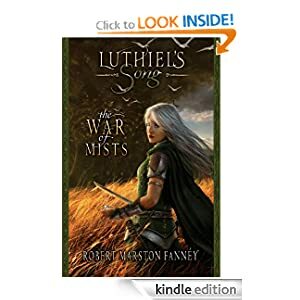 The pacing demands that the next page be turned, and then the next, and then the next, until the book is finished and you are left with the wonderful mental aftertaste of space opera meets environmental catastrophe meets dystopian Earth, meets the seeding of a multi-planet humanity. 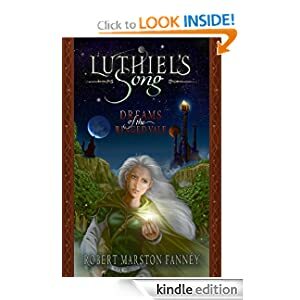 There is romance (both tragic and otherworldly), there are battles in the dark of space between worlds, there are tales of disaster after disaster, and there is the shining hope of a new world and a new people willing to work together selflessly to help one another. All crammed into 300 pages in a way that gives the book a nigh-irresistible pull. Though “The Martian Patriarch” possesses a few of the expected rough edges — a couple of grammar errors, a few awkward sentences, and a cover presentation that does this amazingly creative work little justice — they do not at all detract from this masterful story. In fact, I’ve read a number of mainstream novels that offend more in this regard. If I had one complaint it would be due to my effort to suspend disbelief that a humanity afflicted with the same small-minded, selfish, and brutish leaders of today would even be capable of organizing the resources needed to begin the arduous and complex process of interplanetary colonization. In my view, a civilization unable to tackle the simpler, though still very difficult, problems of climate change, resource depletion, overpopulation, and institutionalized human greed, would also be unable to mount the massive effort needed to reach new planets and develop effective civilizations there. In my view, the overthrow and diminishment of the brutes would have to happen first, not later. But this minor niggle of opinion did not at all detract from my enjoyment of what was, by equal parts, a visionary, entertaining, and masterful tale worthy of the greats of science fiction. Hats off to Robert who is obviously possessed of great heart, stunning imagination, and a vision for extraordinary tale-telling. I highly recommend the work to anyone interested in sci-fi, the environment, or humanity’s future.